Robbie Reid Furniture has been designing and making Furniture since 2004.The business was formed after the demise of the family cabinetmakers firm which had spanned 5 generations starting in 1806. 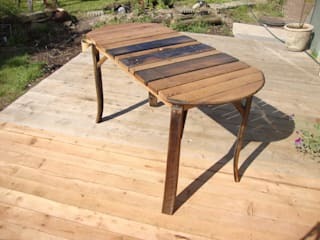 Today Robbie Reid Furniture designs and makes furniture to commission .We also undertake Restoration of furniture and have in recent years branched out with a new venture Whisky Barrel Rockers . 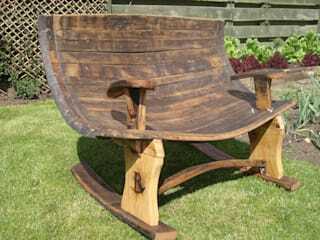 Whisky Barrel Rockers produces furniture for the Garden and interiors using De -commissioned Oak whisky barrels. 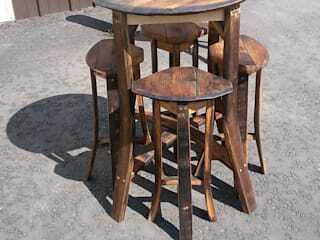 The designs include , Rocking chairs , stools and tables. As well as stock items , commissions are also undertaken. Treefest—Best promotion of sustainable Furniture 2014—, Westonbirt Arboretum , Gloucestershire .